The Stonenesse Living Room Group by Coaster at Value City Furniture in the New Jersey, NJ, Staten Island, Hoboken area. Product availability may vary. Contact us for the most current availability on this product. 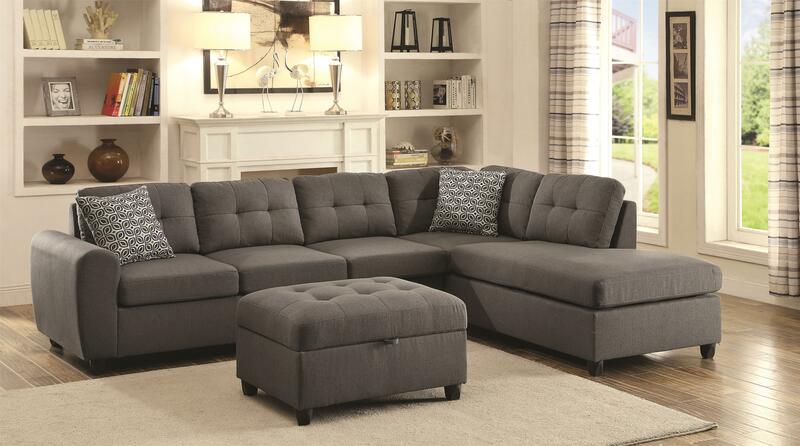 This contemporary sectional collection showcases casual style for your living room. 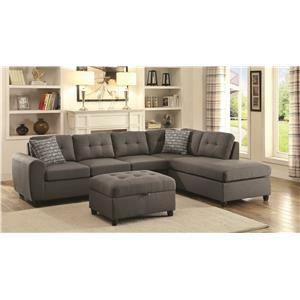 Lounge on supportive pocket coils and kiln dried hard wood on this comfortable and stylish sectional. 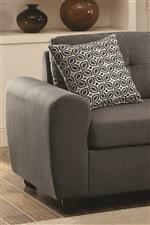 The seat cushions have button tufting and a rounded track arm. 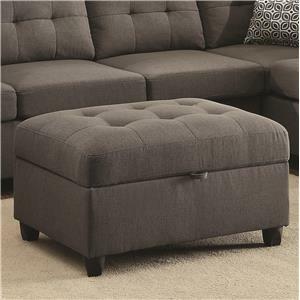 The ottoman adds comfort and convenient storage space to this collection. The Stonenesse collection is a great option if you are looking for Contemporary furniture in the New Jersey, NJ, Staten Island, Hoboken area. Browse other items in the Stonenesse collection from Value City Furniture in the New Jersey, NJ, Staten Island, Hoboken area.